If you happen to be running Windows Vista on your ultra-mobile PC or tablet PC, then Microsoft is offering its Origami Experience program launcher and media browser as a free download. To coincide with the Windows Vista launch on Tuesday, Microsoft has introduced several new versions of the operating system, including a version for Origami devices. The user interface of the Origami version has been specifically designed for smaller handhelds. 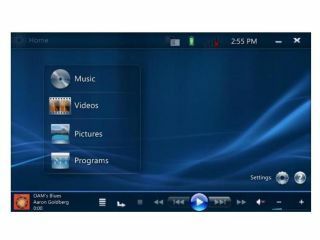 New features include a new program launcher; better browsing for music, videos and photos; and easily adaptable settings. The Origami Experience download is available here .